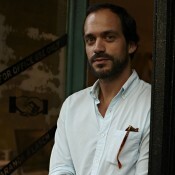 Benjamin Aranda is principal at Aranda\Lasch, an architecture and design studio located in New York and Tucson. 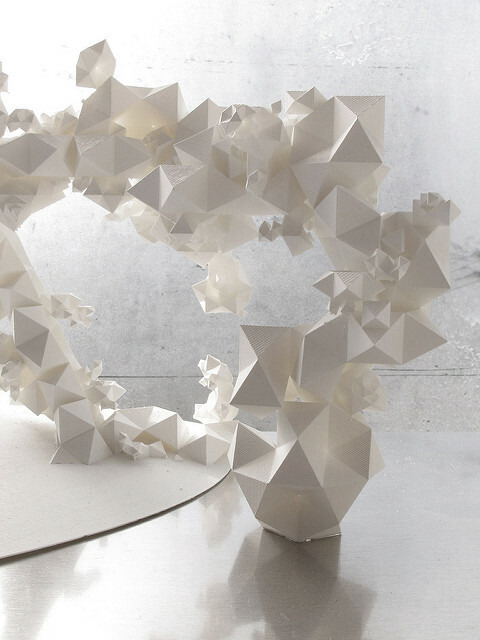 Aranda\Lasch designs buildings, installations and furniture through a deep investigation of structure and materials. 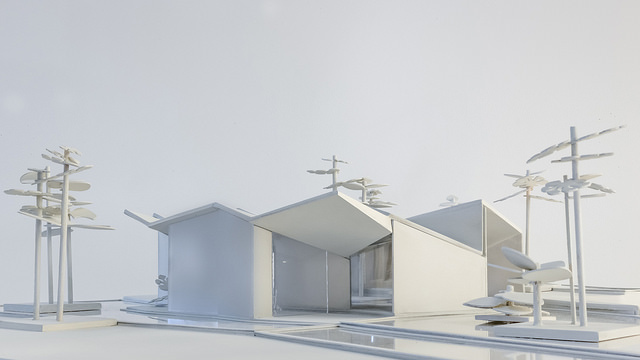 Recognition includes the United States Artists Award, Young Architects Award, Design Vanguard Award, AD Innovators, and the Architectural League Emerging Voices Award. 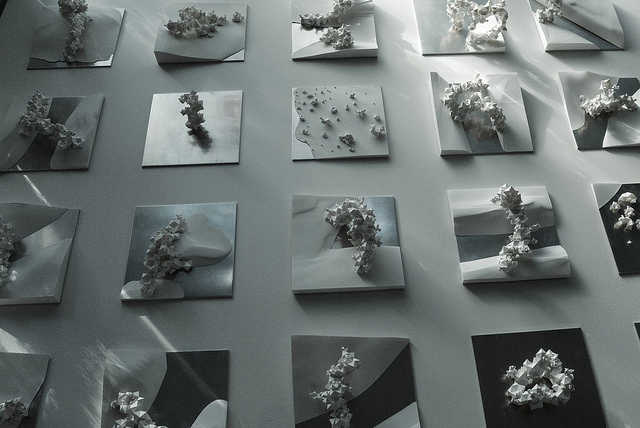 Their projects are the subject of the books, Pamphlet Architecture: Tooling and Trace Elements. 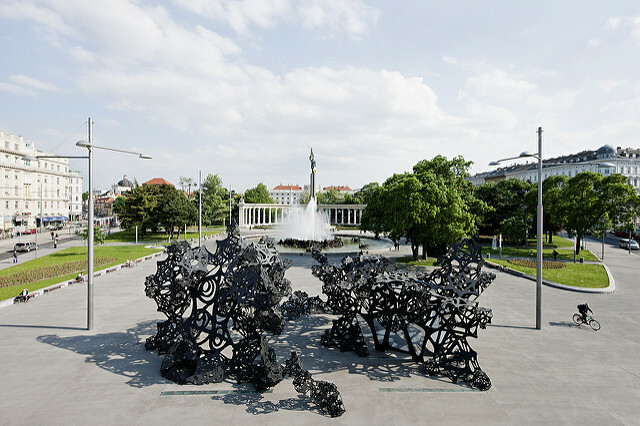 Aranda\Lasch has exhibited internationally in galleries, museums, design fairs and biennials. Building projects include commercial development in Miami, an outdoor theater in Gabon, and an Art Park and museum in Bali. 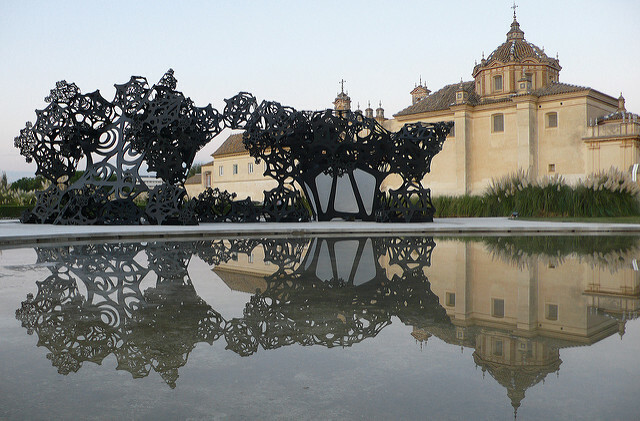 Aranda\Lasch continually develop furniture products and are represented by Gallery ALL and Volume Gallery. Their work is part of the permanent collection of the Museum of Modern Art in New York. To view Benjamin Aranda's full CV, please click here. 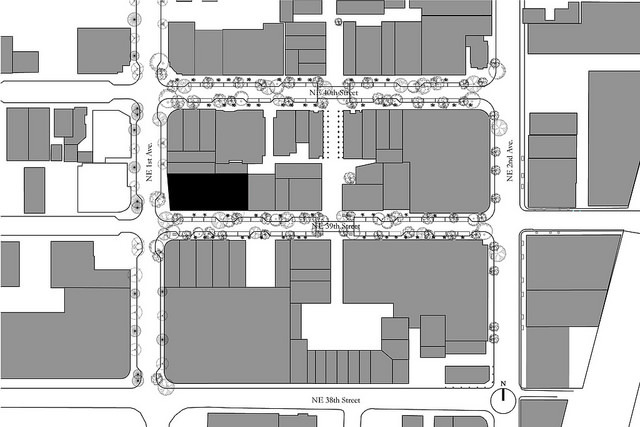 Art Deco is the inspiration for a new commercial building in Miami. 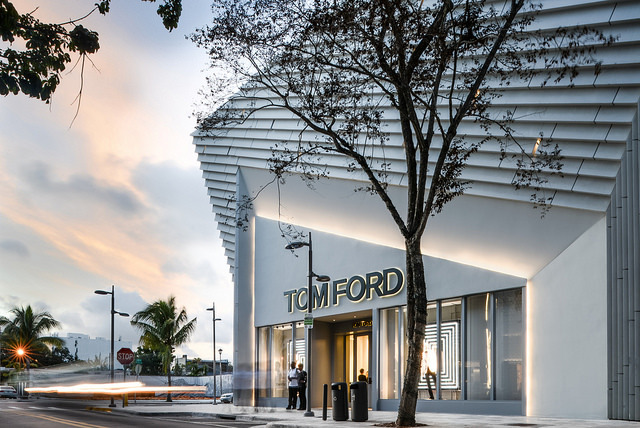 Located in Miami’s new Design District, the building houses four luxury retail tenants including Tom Ford. 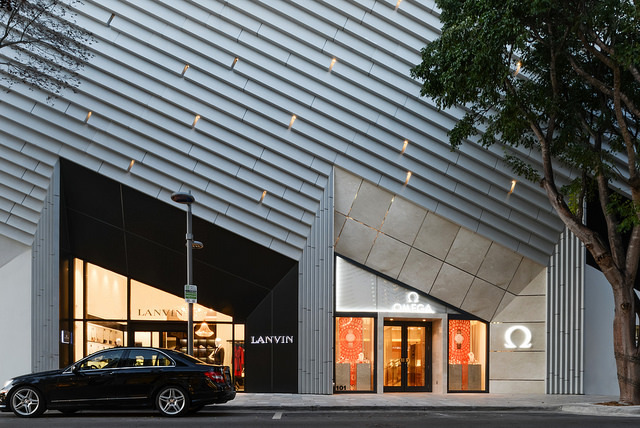 Miami’s historic architecture is defined by the Art Deco movement from the 1920s to the 1940s where bold geometric motifs shape the city’s landmarks. 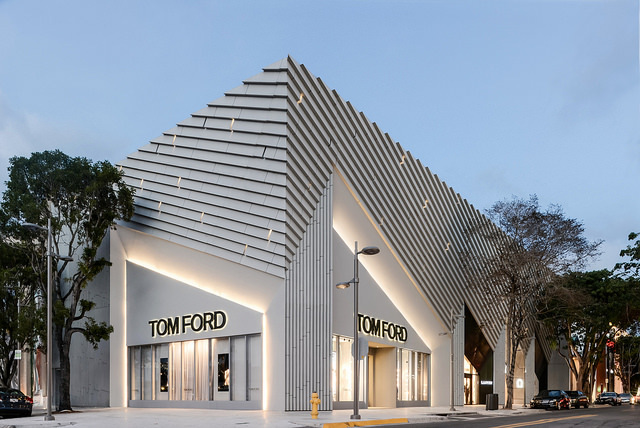 Inspired by the pleated Art Deco patterns found in architecture and fashion, the facade is given a texture that revives the exuberance and ornament of Miami’s golden era. 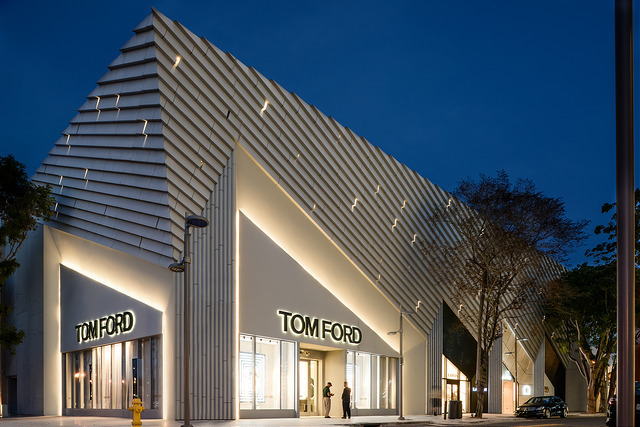 The facade is made from molded GFRC panels that fan out above the building’s streetlevel retail, creating angular recessed storefront coffers. 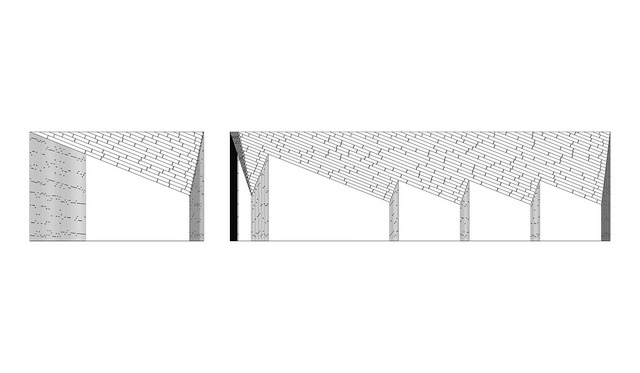 Lighting integrated into the panel joints create a scattered pattern of light across the facade. 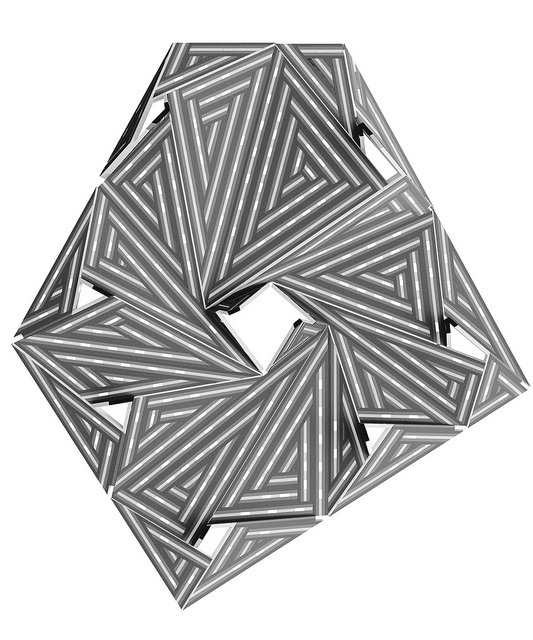 The pattern subtly fluctuates through several programmed sequences. Railing is a new collection of furniture pieces designed by ArandaLasch. 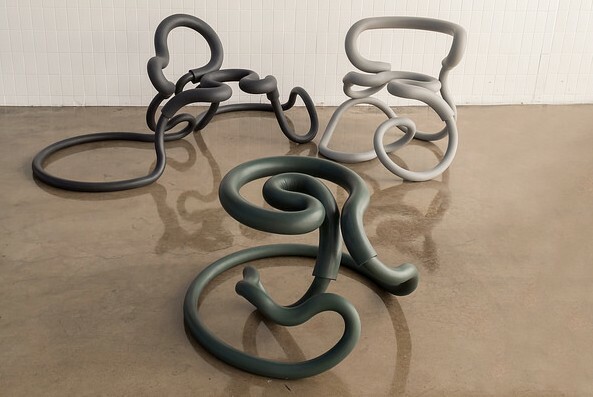 At Design Miami 2015, Gallery ALL will present the first three elements of the collection R1, R2 & R3: two chairs and a stool. 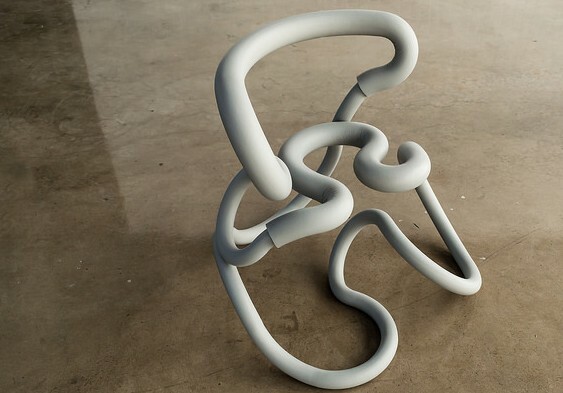 Railing is an exploration of structural modular loops that are upholstered like handle-grips to become furniture. 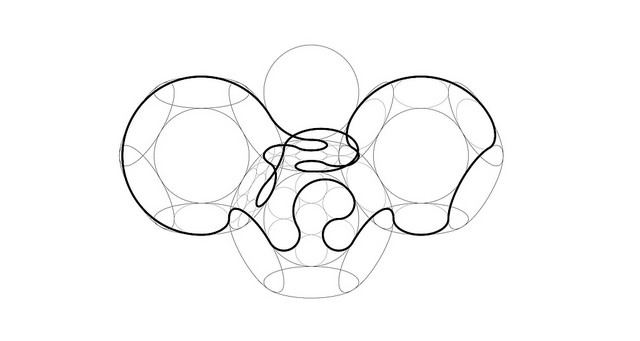 Each piece of furniture is a single loop made up of many circles. Here, the circle does not display the qualities it is most known for, but it is what a circle can be. It is not whole or complete but is instead growing into itself. It is a circle that refuses its own dimension and finitude, that struggles to be endless. 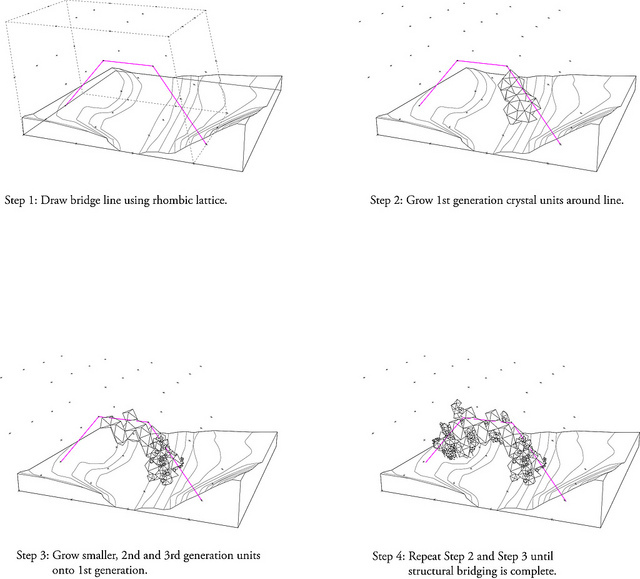 The Railing collection continues ArandaLasch’s research into modularity through a novel language of arcs. 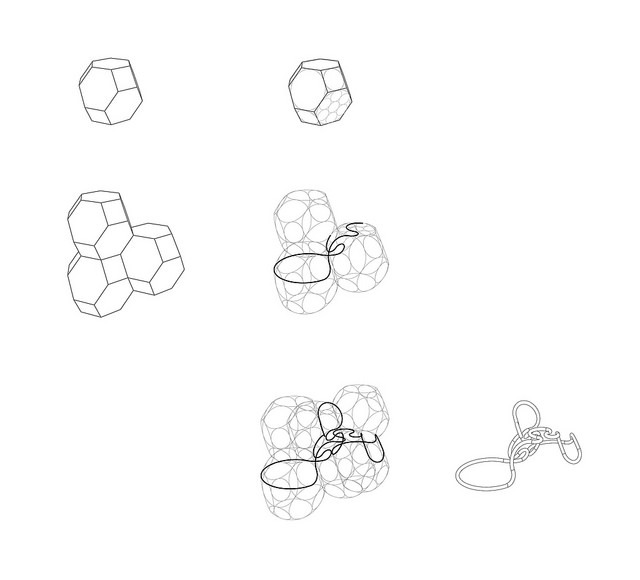 Though the pieces in the collection vary in size, shape, function and complexity, each one carries the same logic of a single line that curves through a lattice of fractal circles and comes back to itself to form a continuous loop. This system allows all distinct pieces to be created from the same set of modular stainless steel pipe arcs. The upholstery wraps the metal in a selection of colors and materials, extending the material language of handle-bar grips into a loopy dimension. 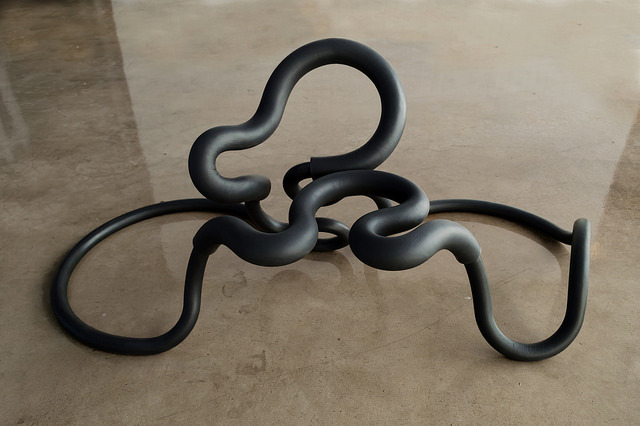 The three pieces at Design Miami are presented in both silicone foam and hand-sewn leather upholstery. 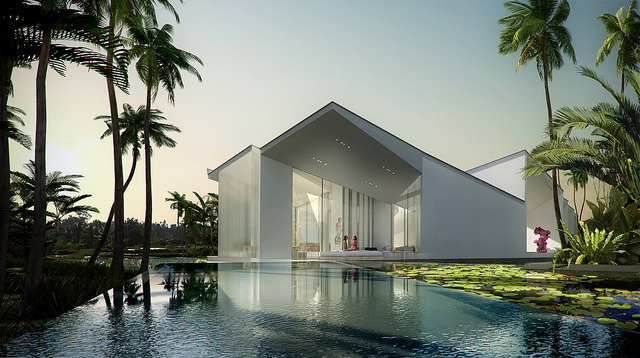 This residence is located within the Budidesa Art Park, designed into an existing field of rice paddies. 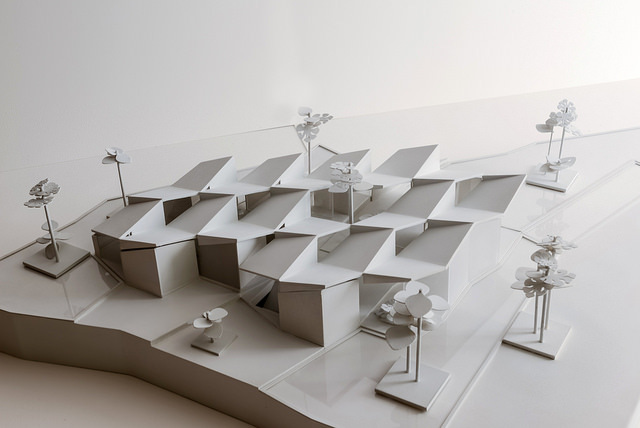 The building serves as the residence of the Yuz Foundation with its collection animating the surrounding landscape. The owner is both Indonesian and Chinese. This aspect of being of both inspired his collection to be about dialogue. He started the Yuz Foundation as a way to promote better understanding and exchange between China and Indonesia. The residence too, bridges these two worlds. It combines two vernaculars: Indonesian and Chinese. 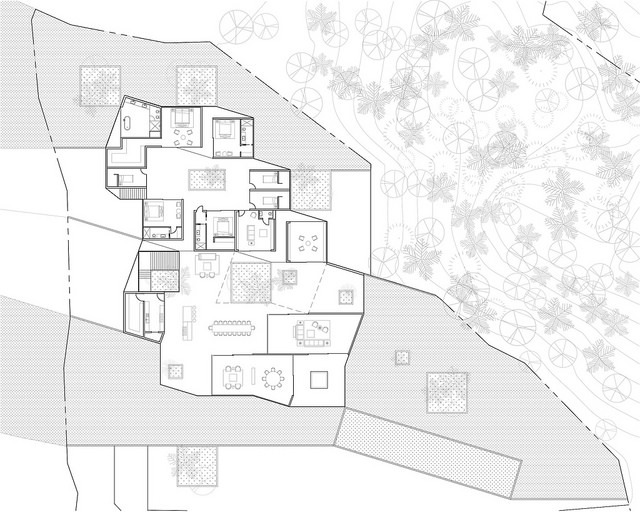 In the Balinese House Compound each room is a separate small building arranged dynamically across the site. 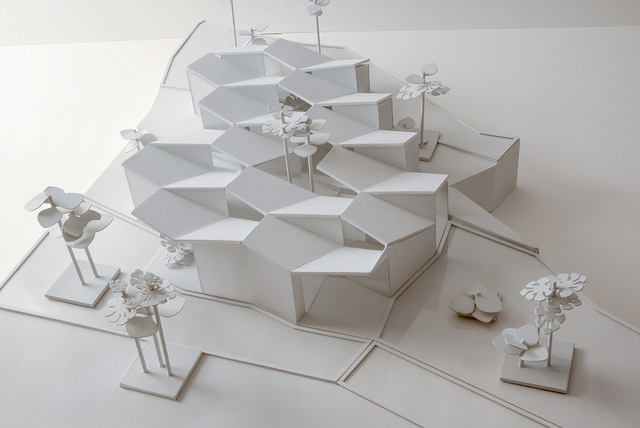 In the Chinese Courtyard House, rooms are adjacent to eachother and arranged symmetrically around a communal courtyard. The combination of these two vernaculars results in a system that adapts to both the local environment and the owner’s personal cultural background. 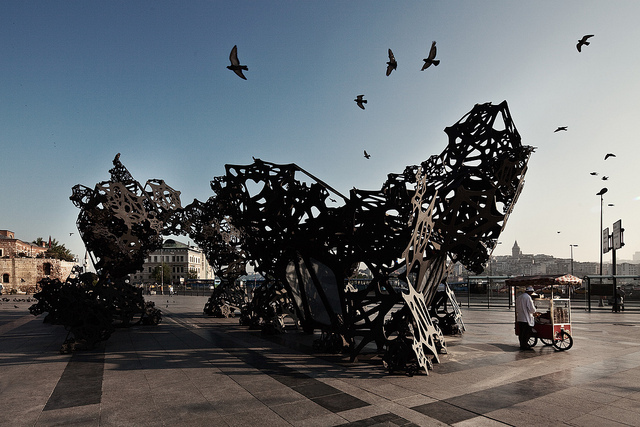 The Morning Line is a collaboration with the artist Matthew Ritchie and Daniel Bosia of Arup’s AGU and was commissioned by Thyssen-Bornemisza Art Contemporary. 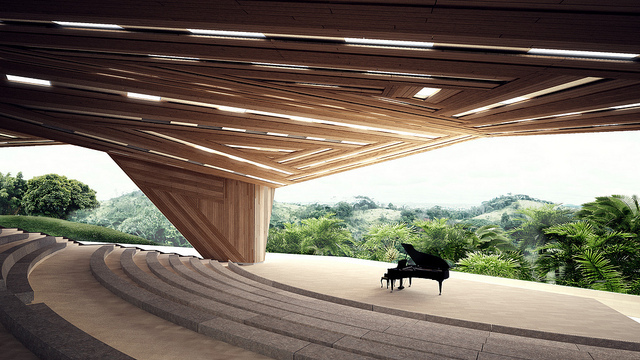 The project is conceived by Ritchie as a collaborative platform to explore the interplay of art, architecture, cosmology and music. Imagined as a ruin from the future, The Morning Line is a drawing in space, where each line connects to other lines to form a network of intertwining figures and narratives with no single beginning or end, entrance or exit, only movements around multiple centers that together trace out a dense web of ideas concerning the history and structure of the universe and our place in it. 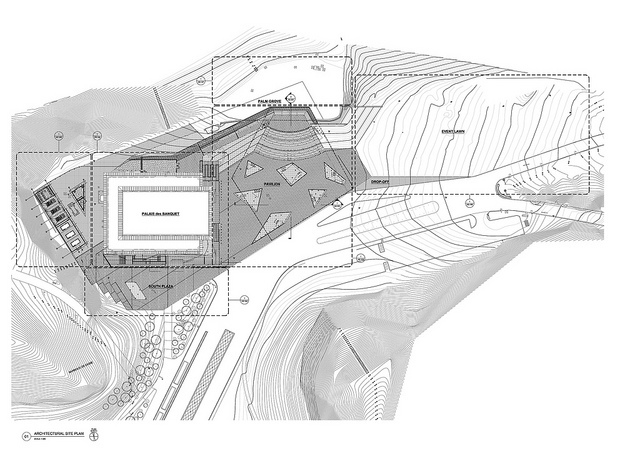 Within the drawing, other information layers animate the structure. 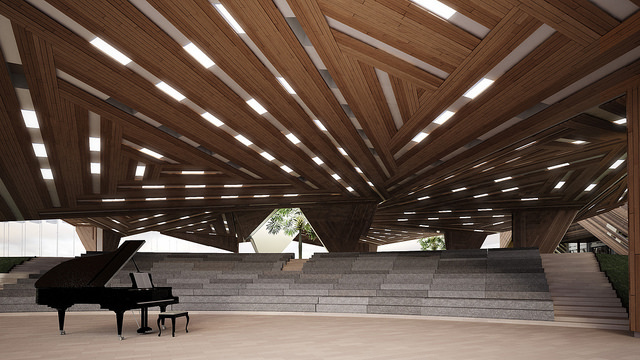 The piece is outfitted with a sophisticated arrangement of speakers and controls designed by Tony Myatt of the Music Research Centre of York University, which transform the piece into an innovative spatialized sound environment. 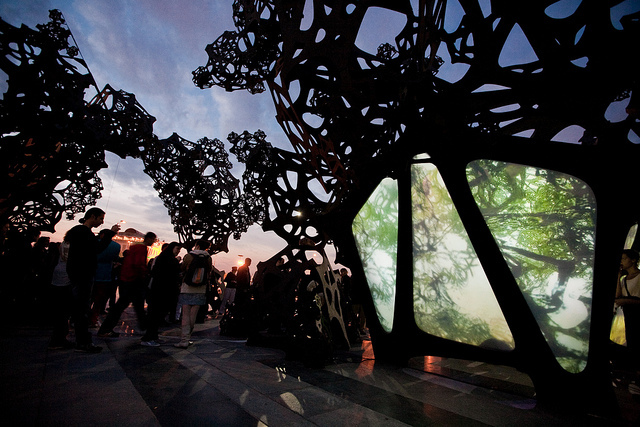 Over the course of the Morning Line’s installations, guest curators invite composers to produce site-specific works for each installation, treating visitors to music and sound performances that move through the space around them. At the heart of the Morning Line is “the bit”. 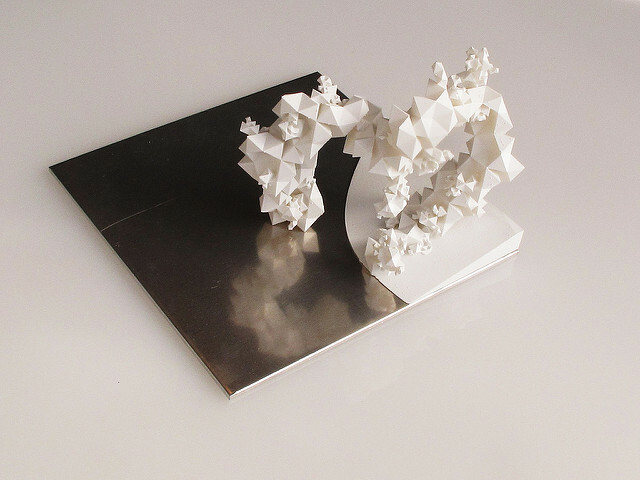 A fractal building block that grows and scales by a fixed ratio in three dimensions to produce the lines, spaces and structure of the piece. Each bit is interchangeable, demountable, portable and recyclable, allowing the piece to change and adapt physically over time along with its sonic content. 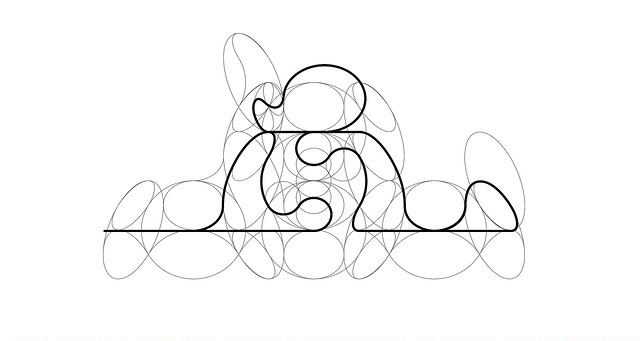 To date, the Morning Line has travelled from Seville, Spain to Istanbul, Turkey to Vienna, Austria, constantly adapting its form to its new site. It is currently in the permanent collection of the ZKM in Karlsruhe Germany. The Palais Des Arts is a multifaceted performance, business, and diplomacy venue capable of hosting a full range of events. The Palais Des Arts consists of a renovation to the existing Palais des Banquets as well as the demolition and replacement of the existing Palais des Spectacles. The facade of the existing Palais des Banquets is enveloped by a new Screen Wall, which organizes the entry and views into the building.The Palais des Spectacles is replaced with an outdoor theater over the old theater’s footprint and new public plaza. The plaza is covered by a dynamic canopy that provides shelter from the rain and shade for visitors to the site. Gardens and landscaping knit these elements together seamlessly into a cohesive site strategy which echos Gabon’s incredible natural ecology. The structural system proposed for the canopy roof is a prefabricated component based system, assembled on site as a kit-of-parts. Each component consists of a “stress skin” panel where top and bottom surfaces contribute to the strength and stiffness of the structure. An interlocking reciprocal pattern is utilized to allow each plane of the roof to act as a two way spanning slab as well as mobilizing in plane stiffness and allow a very slender structure. 20 Bridges for Central Park is a proposition to extend the legacy of brick, stone and cast iron bridges of Central Park. Originally realized by Olmsted and Vaux, they were built to make connections between landscapes and intertwine the Park’s footpaths, carriageways and bridle paths. Recognized as a radical invention in landscape design, they allow the traffic of people and nature to flow over, under and through them. 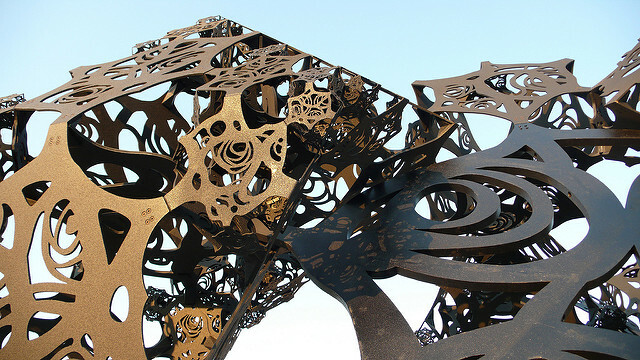 This project connects separate landscapes in the park through a family of radically new structures that vary in size and configuration but retain the same fundamental identity and logic. 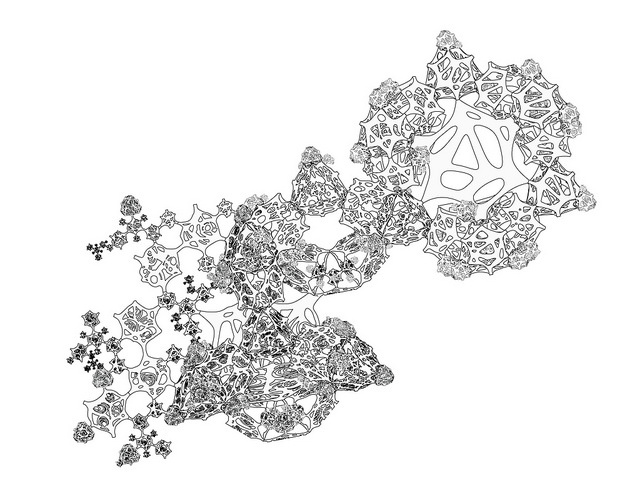 All the bridges are built from a single fractal unit that follows a simple trajectory in space. 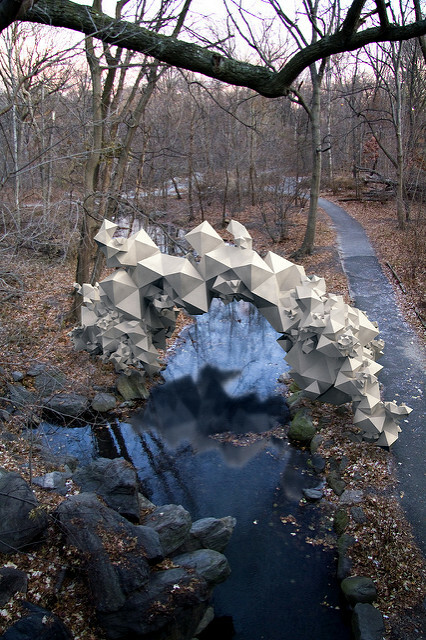 Whether they bridge over a small stream or a large crosstown throughway, connect land to water or shore to island, the structures explore new possibilities for people to inhabit. Some are conventional footbridges, others are more unexpected such as stepping stones over a creek or a ladder up a hill. Like the original bridges, these structures are deployed to make new connections between landscapes, landmarks, spaces or things, and by doing so they highlight the essential role of Central Park itself: that it is about connecting, people, places and nature together.